MyBulbs was created to help you keep track of which lighting products work best for you. 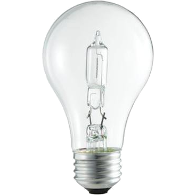 From large properties to small apartments, it can be tough to remember which bulb or ballast you used last. MyBulbs allows you to label and organize the products you prefer, so you can help ensure the other members of your organization buy the correct items. No more different color bulbs in the same fixture. No more hallways with two different colored lamps. Just the best pricing and hassle free ordering with CommercialBulbs.com and MyBulbs.